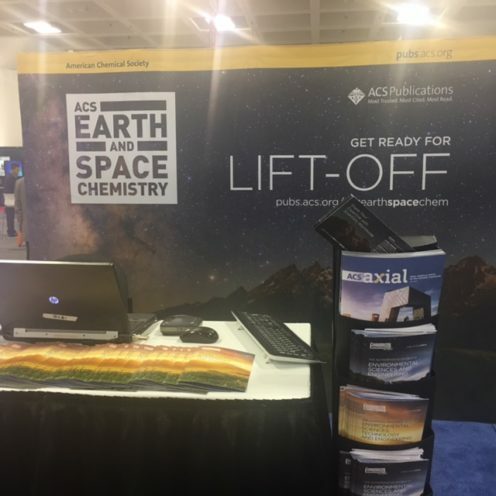 Last month ACS Publications exhibited at the 2016 American Geophysical Union (AGU) Fall Meeting in San Francisco, CA, to present our newest journal — ACS Earth and Space Chemistry, along with two other well-established ACS journals, Environmental Science & Technology and Environmental Science & Technology Letters. 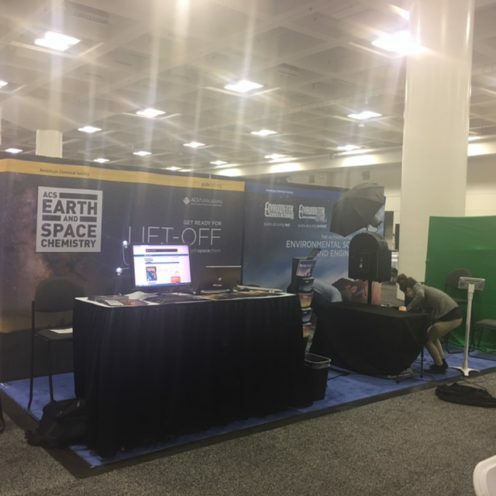 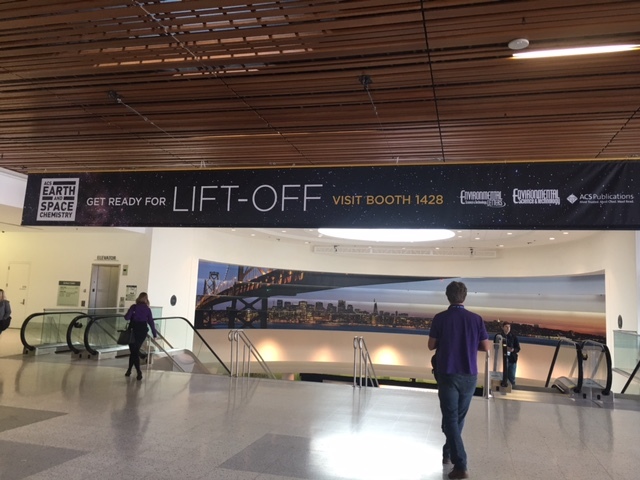 We were excited to exhibit at one of the largest earth and space science meetings in the world and to meet more than 25,000 top scientists in the field. 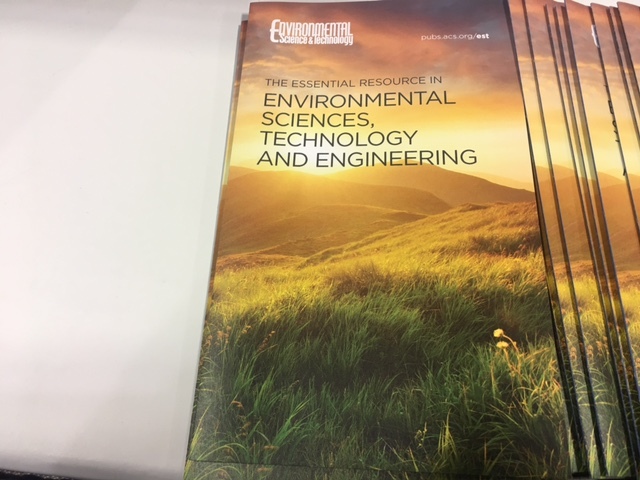 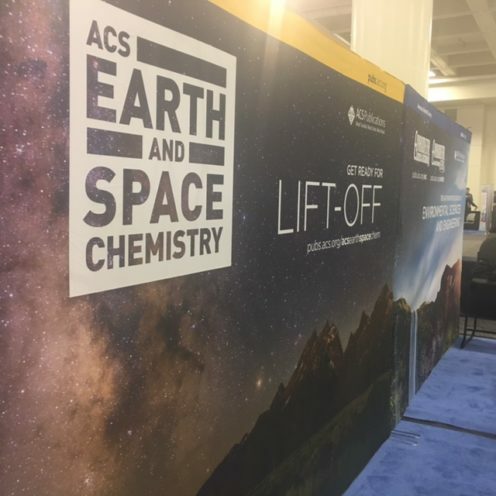 At the ACS Publications booth, we greeted attendees by giving away over 300 ACS Earth and Space Chemistry LED lights and 500 Environmental Science & Technology Letters Notebooks. 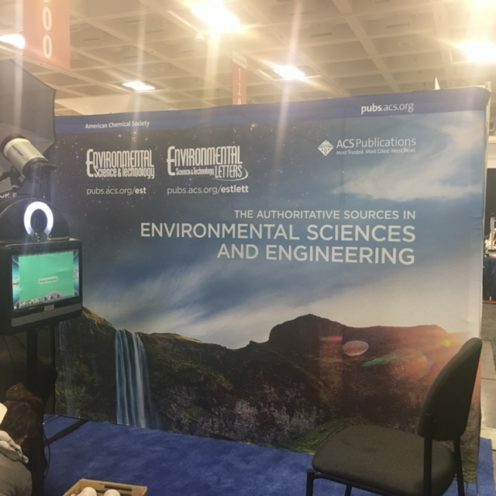 Many friends who visited our booth also had fun having their photos taken and printed as their conference souvenir. 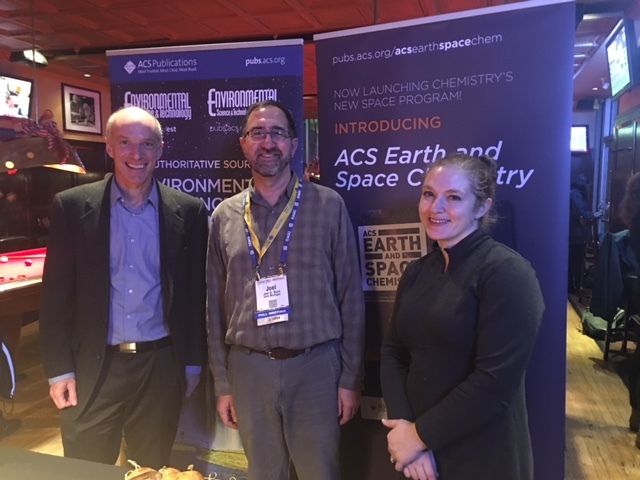 On hand at the ACS booth for this event were newly-appointed ACS Earth and Space Chemistry Editor-in-Chief Dr. Joel Blum and Environmental Science & Technology and Environmental Science & Technology Letters Editor-in-Chief Dr. David Sedlak. 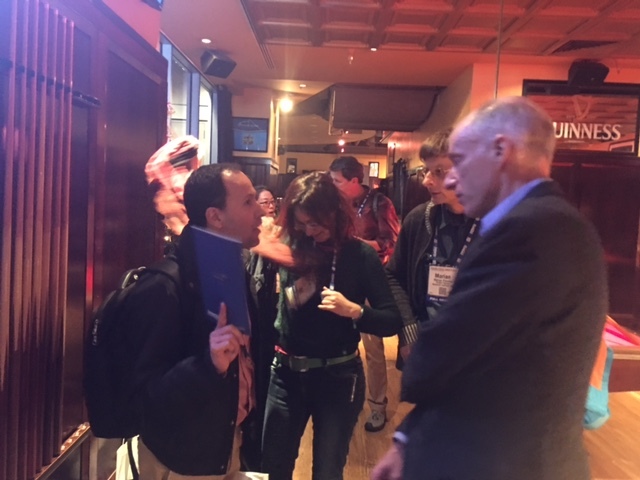 Blum and Sedlak were joined by Managing Editors Tamara Hanna and Ariel Grostern, long with ACS Staff members. 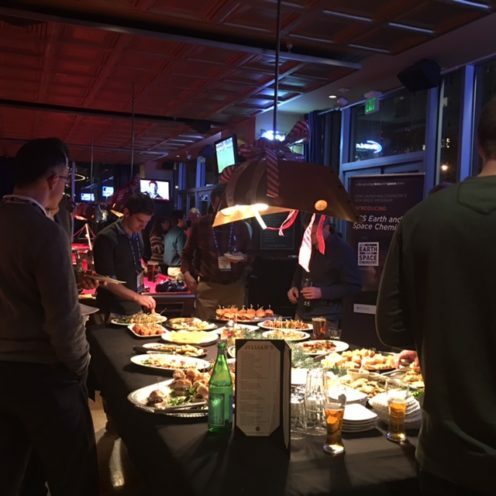 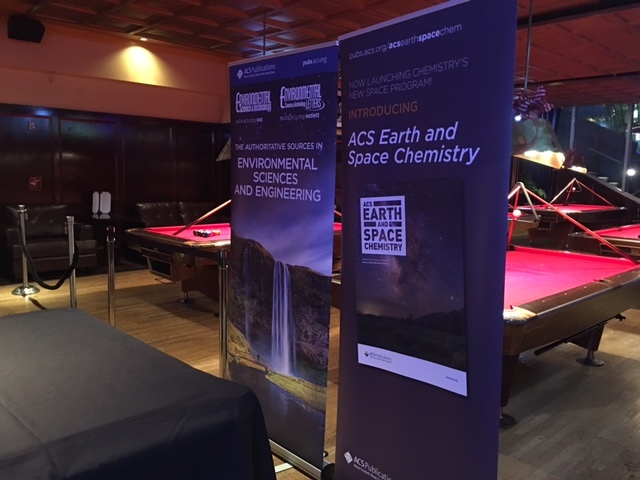 All of the ACS representatives were happy to meet and greet the guests that visited our booth or came to the reception at the famous Jillian’s San Francisco on December 13th. 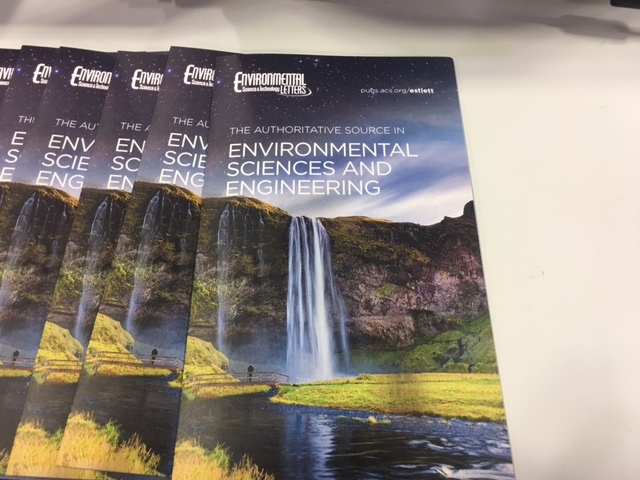 If we missed you at the 2016 meeting, ACS Publications will be at the next AGU meeting in New Orleans. 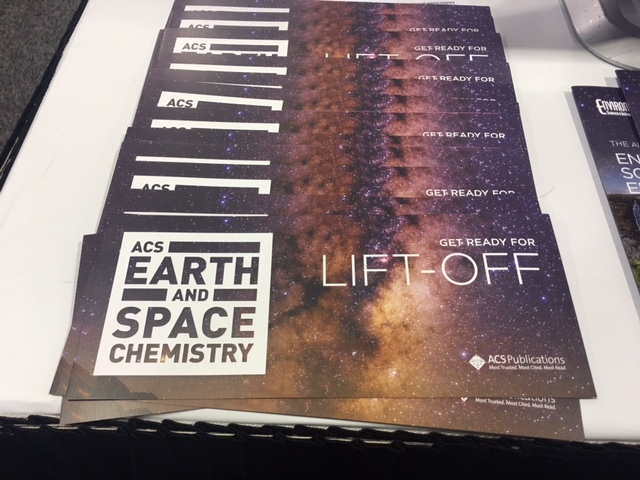 If you are coming to the 253rd ACS National Meeting and Exposition in San Francisco (April 2-6), don’t miss the fun and gifts at the ACS Publications booth this year!